Fun fact... last year a watch dealer ranked #129 on Inc. Magazine's list of the 500 fastest growing private companies in America. So who is he? His name is Paul Altieri, and he's the founder and CEO of Bob's Watches. The company buys and sells 300-400 Rolex watches per month. The business shows no signs of slowing down - and neither does Paul - who does everything from taking out the trash to catching red-eye flights to hunt down rare watches. Behind the mega-dealer website is a man who's deeply passionate about Rolex and who's sincere about doing right by people. Look no further than where the inventory at Bob's Watches comes from for a testimonial on people's trust and satisfaction: The vast majority of their Rolex stock comes directly from "Joe Public" according to Paul. Having a supply chain, without a middleman, means sellers get paid more for their watch. Buyers benefit too: Many of the watches sold through the site belonged to original owners. 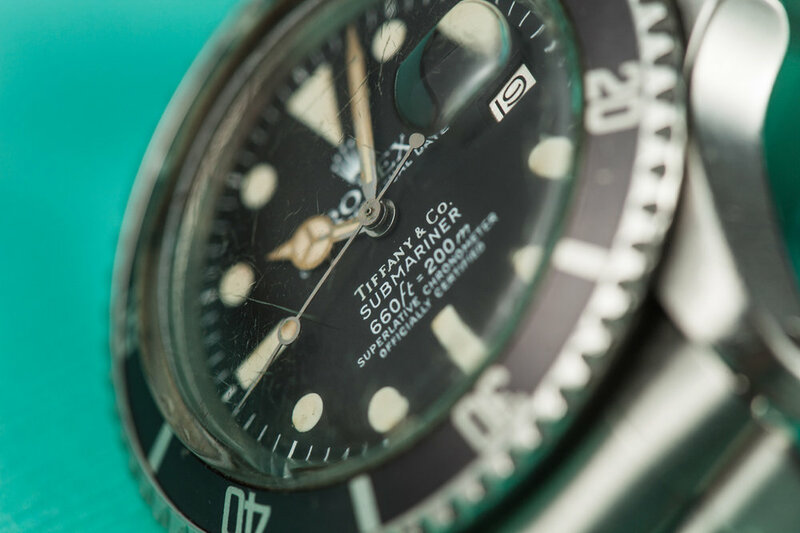 Enough can't be said about the value of fresh-to-market timepieces, with original parts, in honest condition - especially when it comes to vintage models. If you're a buyer browsing the selection at Bob's Watches, you'll find plenty of examples - new and old - with box and papers. Every once in awhile, Paul meets someone with an amazing vintage watch he wants to buy. Two such watches he couldn't resist are his pair of Tiffany & Co. stamped ref. 1680 Submariners. 5-lines of text on a dial isn't too busy when "Tiffany & Co" is stamped at the top. Paul spoke of a certain "cache" and "sexiness" the famous jewelry retailer's name adds to a watch. Being that Paul's first job out of college was selling jewelry, he's got a soft spot for these fairly rare Tiffany-branded Rolexes. When someone wants to sell their watch today, without fail, the first place they go is the Internet. Bob's Watches is usually the top search result. That's how Paul acquired his stainless steel Tiffany Sub: A young professional, living locally, needed money to pay for grad school. He reached out to Bob's Watches for a quote on his Submariner, given to him by his Dad. As Paul tells it, the young man's father installed home security systems in the Hollywood area. Working in the home of a wealthy widow of a movie producer, his father noticed the watch and mentioned that he really liked it. When it came time to pay the bill for the alarm, the widow agreed to trade her husband's watch for the services performed. Paul received some words of wisdom long ago to "be one of the good guys." In all his dealings since then, he's made sure to uphold that advice. So it's no surprise he acquired his yellow gold Tiffany Sub through a referral. The seller was from Florida and he was the original owner. Up until recently, he'd worn the watch his whole life. But his taste had changed, and he wasn't comfortable wearing gold anymore. Paul already owned one Tiffany Sub and liked the idea of having "bookend" examples. The seller agreed to exchange his watch for a newer stainless steel Sub and cash. Paul views a Rolex as a symbol of achievement. And since he's a self-made guy, having bootstrapped two other successful ventures prior to Bob's Watches, the brand resonates with him. A Rolex is the first thing Paul puts on in the morning and the last thing he takes off before going to bed. From the perspective of a collector, Paul says it's "kinda cool, kinda neat" to have two Tiffany Subs: one in steel and one in gold; both ref. 1680s from the same era. Sometimes his dealer friends inquire to buy his watches. Unfortunately for them, Paul's the buy and hold type. He has no plans to split up this duo... they're NOT FOR SALE. To see more of Paul's vintage Rolex collection... start following Bob's Watches on Instagram @bobswatches. 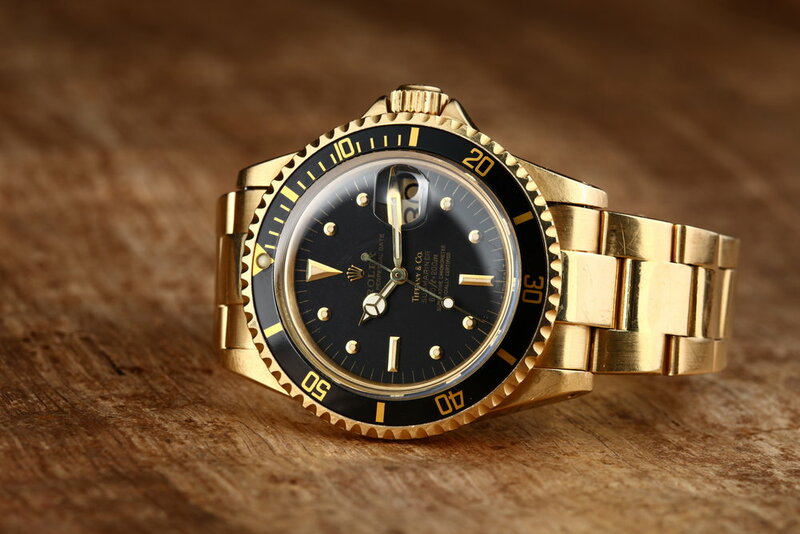 And if you're in the market to sell or buy a Rolex... definitely visit Bob's Watches website.